In Sydney, from March next year, certain selected truck drivers won’t need a countdown to green. For a trial period, they’ll be told a green light is about to change and if they’re close enough, drivers will have the option to request an extension for the few extra seconds they need to pass through without slowing. It’s called Freight Signal Priority and it’s expected to be groundbreaking, not just in terms of the expected 20% saving in travel time for truck drivers, but for cars that won’t be stuck behind them. In 2017, the autonomous revolution will properly begin. 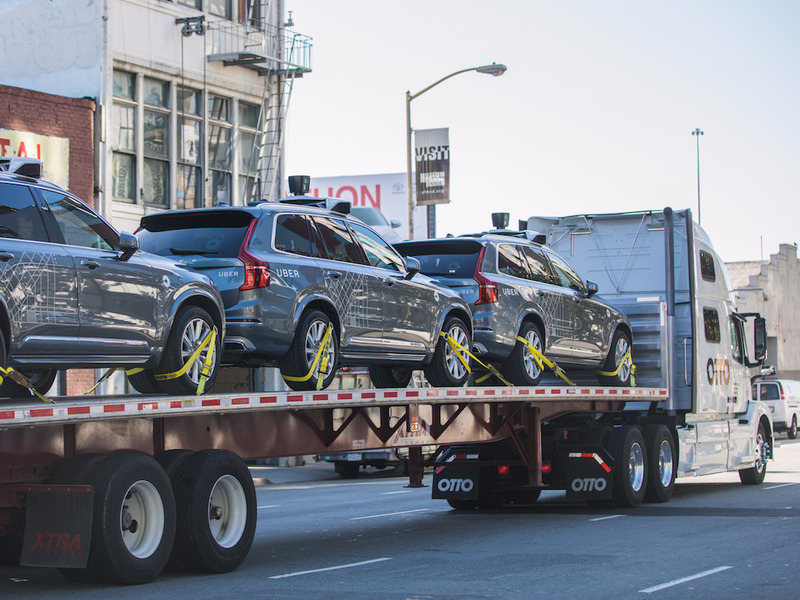 A Gartner report claims most cars and trucks will be connected to the internet within four years. That technology is known as V2I (vehicle-to-infrastructure) and V2V (vehicle-to-vehicle), or simply V2X (vehicle-to-everything). Lyft’s president believes car ownership will “all but end” in cities by 2025, as networked autonomous vehicles come onto the scene. Every week, more industry experts add their voice to that call. And last week, officials in Melbourne appeared to go very cold on the idea that autonomous vehicles and V2X technology was an instant fix for Melbourne’s congestion woes. Infrastructure Victoria (IV) is the independent authority given the job of ensuring state government will give you, the taxpayer, the best outcome when it comes to spending your dollars on infrastructure. Its key role this year was developing the 30-year infrastructure strategy for Victoria and just this month it released that $100 billion blueprint for the state, which included an extensive breakdown of the challenges its transport network faces. “(Information and communications technology) is becoming a major component of our Transport Networks, and will need to respond to future requirements in new areas such as driverless cars and real time information. The Transport section of the 30-year blueprint runs to 110 pages, and the above statement sounds a lot like IV is brushing off “future” technology that’s already in place in some US cities. Victoria’s $100 billion, 30-year blueprint mentions “driverless” just 10 times alongside words such as “unknown”, “uncertain”, “potential” and “closely following”. Right now, it looks like IV would prefer to focus on passenger information services such as mobile alerts and websites, giving trams priority at intersections, congestion taxes and toll increases. And $700 million worth of extra lanes on the M80 Ring Road, completed by early 2020. By that time, Melbourne’s population will have swelled by an extra 475,000 people, so why wouldn’t a blueprint for a transport system through to 2046 be a whole lot more urgent about taking control of the increasingly congested traffic systems out of the hands of humans as soon as possible? Steady on. It’s not that simple. Giving drivers access to real-time data allows them to plan their journey on the run. They can avoid accidents well before hitting the back-up queue, for example. And it works in reverse. Giving traffic authorities access to an autonomous vehicle’s braking system could allow them to stop a runaway vehicle or eliminate red-light collisions. At a media day organised to give journalists a taste of the system, The Verge editor Casey Newton noted “most of the signals I approached were connected“. Another journalist put the figure at 1300 intersections. Newton said Audi had told the pack it was talking with “at least 10 other cities interested in bringing V2I to their roads”. A pilot study in Pittsburgh earlier this year showed it could reduce travel time “by 25 per cent and idling time by over 40 per cent”. Emissions would be cut by 21 per cent. “We are a state that’s getting s..t done,” Angela Castro, senior director of government affairs for the Regional Transportation Commission of Southern Nevada, told Newton. And when enough connected cars are on the road, Audi said “it may be able to bypass municipal signals entirely by crowdsourcing the data”. It’s not just about giving you a countdown at a red light so you’ve got time for a few Snaps. A competent V2I system will give you an optimum speed and route for traveling through a city which ensures you hit as many green lights in a row as possible. Roberto Baldwin at Engadget said once real-time information sharing goes live, “a city like Vegas could adjust how traffic flows in real time and reduce gridlock by redirecting cars and adjusting signal timing”. Not only that, it will change “how that metropolitan builds out future roads and services”. All new cars on the market will be hooked up to the internet by 2025. Not “may be” hooked up – will be. In the US, if a proposal tabled just this month is ticked off, that will be cut back 2019. But cars are just the first, most basic building blocks of our future carefree driving utopia. A connected car needs connected infrastructure to chat with. And the whole shebang needs something to pull it all together that historically takes much, much longer to achieve – a policy framework. In regard to driverless vehicles especially, the first obvious step is getting them on the road. Last week, the Victorian state government also released its Future Direction Paper squarely aimed at explaining how it will “continue to support the development of automated vehicles”. Part of that, according to roads minister Luke Donellan, includes working out “how this emerging technology can be best integrated into our existing transport system”. Donellan says there are numerous legislative and safety challenges to be met and, perhaps ominously for anyone wanting tomorrow’s technology today, stresses that it’s vital for Victoria to have “a robust policy framework in place” even before testing begins. That’s V2X testing and it’s important to note here the difference between having the technology available now, and actually being able to roll it out wholesale. Just this week, for instance, the Victorian government announced it was comfortable with the latest Volvo S90s beginning an 18-month program of testing which aims to get hands-free cars using the EastLink by 2018. So it’s not as though there’s no local interest, experience or skills shortage in transport technology to bounce a few ideas off. Melbourne auto startup Connexion this year cut a deal with General Motors to have its vehicle management system implemented in 3.4 million vehicles annually. And the Victorian government’s long-term approach has a credible backer in Connexion CEO George Parthimos. Parthimos says that even though V2X systems are already live in some US cities, he’s not surprised to find them mentioned in a 30-year blueprint as “wait and see” technologies and solutions. “The reality is that the technology is still in its infancy,” he said. While Connexion’s software is designed “to make people’s lives easier” in cars in ways not specifically linked to V2X, Parthimos says V2X implementation “is only one part of the complete solution”. “Smart cities need to provide access to data and information to make the infrastructure usage worthwhile,” he says. “In addition, the automakers need to see a genuine commercial benefit in preinstalling a ‘black box’ into every vehicle they manufacture. The additional cost per vehicle could be hundreds of dollars at the showroom, and consumers may not necessarily have a willingness to pay (especially at the lower end of the market). Parthimos is on the money. A recent study by the Australian Driverless Vehicle Initiative (ADVI) which showed 62 per cent of Australians weren’t prepared to shell out more for autonomous technology in their cars. But the 38% who were willing to pay more, were willing to pay an average of $9000 more. Modelling by Infrastructure Australia shows that by 2035, the social costs of congestion and deaths of Australian roads would be more than $80 billion a year. Parthimos says 10-20 year timeframe is about when we can reasonably expect to see “a harmonious ecosystem between automaker/infrastructure/city”. So by the time the cost of not having a solid V2X ecosystem in place really starts to accelerate, Australia should be ready to start bringing that cost down. Canadian modelling has shown that replacing conventional vehicles with self-driving ones could potentially save the country more than $65 billion in deaths avoided, medical costs, wasted time in traffic and congestion avoidance. As far back as 2011, a study commissioned by Austroads found that widespread adoption of DSRC technology could reduce serious injuries by 25-35 per cent. The concern is, how that all ties into Infrastructure Victoria’s 30-year blueprint for transport is unclear. Is it enough to say “it is likely that many benefits will come” when it is patently clear benefits will come? Why, when you’ve got a green light right now to spend billions on a transport overhaul which is meant to see the state through to 2046, is it acceptable to wait and see instead of just working right from the start with the assumption V2X will solve problems and save money? By 2046, Infrastructure Australia believes it’s reasonable to assume 60% of vehicles on Australian roads will be V2X enabled. So why is the solution still “build bigger roads and collect more tolls”? Cohda Wireless is headquartered in Adelaide and has been a world leader in V2X systems since recognising its potential nine years ago. Right now, its hardware and software products are used in some 65 per cent of all V2X field trials worldwide. Next year, around March, Cadillac will include Cohda’s system at the point of manufacture. It won’t be an optional extra for buyers. And while it’s Cadillac’s choice to get on board with the V2X revolution early, soon it won’t be an option for carmakers in the US either. Last week, the US Department of Transportation proposed a rule which would make it the first country to make V2V communication on all new light-duty vehicles mandatory. So V2V legislation will be binding in 2019. But carmakers aren’t waiting around for it anyway, because drivers have been waiting at red lights since 1912. And now they’re not in Las Vegas, everyone wants a green run for life. This is how quickly you can implement a national standard, if you’ve really got the heart for it. At the same time, right there is the biggest obstacle facing any city which would like all its infrastructure and vehicles talking to each other. The “national standard” proposed for implementation in the US is dedicated short range communications (DSRC) technology, or IEEE 802.11p. Ignore the numbers and letters. All you need to know about DSRC is it’s dedicated, and it’s short range. But it’s also a different communication channel than say, the one your mobile phone uses, which hopefully is at least 4G (LTE) and will soon be 5G. Being short range and dedicated means DSRC is secure and fast, which is vital when it comes to avoiding collisions, where lives can change – and end – on the basis of a single millisecond. But of course, when people buy a new car, they want it to talk to their mobile devices. IV’s original recommendation, which can be found in the “What we learned” section of its 30-year draft strategy, was to roll out roadside units. But the “uncertainty” regarding which mix of technologies will eventually pull it all together led IV to recommend government focuses first on the “removal of regulatory barriers”. Cohda’s CEO Paul Gray says why not indeed? In fact, it’s just completed a trial with Telstra based on LTE which will soon extend to investigating 5G compatibility. “Traditionally, DSRC is the system we’ve been developing but we recognise 5G has potential and in the future these vehicles are going to be connected hybrid vehicles,” Gray says. “They’re going to have a DSRC system and a 5G system. There are pros and cons with both systems, Gray says. Most European and US cars will be fitted with hybrid systems to cope for both DSRC and most networks. Yes, V2X systems can be retrofitted to existing vehicles for between $100-$300, which is helpful. But in the US, the country’s entire fleet has an annual old-for-new turnover of roughly 10 per cent. That means starting in 2019, if the proposed legislation is passed, the vast majority of vehicles on the road in the US will be V2X capable by 2030. Infrastructure Victoria’s blueprint will still be 16 years away from running its course of more roads and more tolls for more cars. But let’s wind back to AVDI’s study. According to that, without similar legislation in place here, not even 30 per cent of Australian vehicles will be V2X compatible by 2030, so Infrastructure Victoria’s mantra of “get the framework in place first” is solid. Autonomous cars could just as easily make our roads more congested. There’s no doubt Infrastructure Victoria hates to be That Guy. But, as important as staying bang on trend is to Melbourne, it didn’t spend a small fortune on hiring KPMG, Arup, Deloitte, PwC and any other consultancy you can think of to model and find solutions to traffic congestion for the next 30 years just to ignore it all. But it’s the modelling behind the blueprint that tells the true story. They found that together with refinements to road-pricing, the autonomous vehicles scenario “dwarfs the impact of any one individual road or public transport project”, even given the uncertainty around the technology and policy needed to implement it effectively. Great. But it also found congestion could worsen, because humans will be humans. If every household in Melbourne had access to autonomous vehicles, you could expect an up to 9% increase of traffic on roads. For one, most people wouldn’t even consider car-pooling in their titchy Google Waymo. And they’d also send it home after being dropped off at the office – that’s four trips to and from work, as opposed to two today. More people will have access to road use, such as the elderly, disabled and children. More people might be encouraged to take longer trips, because being productive in the car means they don’t fear “lost time”. And then there’s the temptation to send your car on “empty” errands. Why pay a courier? People have to be educated to ride-share, and the most effective way to do that is by road-pricing. So, riding in your autonomous car comes at an extra cost – between $2-$3 every time you enter the inner city – because you can’t be trusted to use it responsibly. Add in road-pricing and travel time reduces by 10%. But consider this – right now, it takes about an hour on a good day to get from Epping to Melbourne CBD. In 2040, that’s expected to be 1hr 45min – an extra 90 minutes in the car each day. So the most effective combination of V2X technology and road-pricing will reduce that 1hr 45min by … 11 minutes. Still more than an hour each day away from your family just getting to and from work. Let’s hope your boss understands that hands-free driving can translate to an extra 90 minutes work in the car. The other benefit of enhanced road-pricing would be that more people choose to use public transport, which is still, and will remain to be, the best way to reduce travel times. And more people taking the cheaper, better public transport option means more freedom on the roads, which means better access to employment in middle and outer regions. That’s also great because IV also won’t take lightly the fact that driverless cars are highly likely to kill a lot of jobs for a lot of people. It’s not hard to find a futurist or three who’ll agree. One, Thomas Frey at the DaVinci Institue think tank, reckons that over the next couple decades, driverless cars could eliminate jobs in up to 128 industries. “Suddenly, there’s no parking revenue coming in,” Frey says. “There’s no shuttle buses. There’s no limos. There’s no taxi services. The rental car world suddenly starts to disappear. IV’s modelling also shows a genuine risk that people who would usually bike or walk to walk will shift to the shiny new road options, “which may have human health and climate implications”. These are all the things people who don’t make a living from government planning don’t consider when they demand their robot cars and friendly green lights, now. None of this suggests we won’t see driverless and V2X compatible vehicles helping ease our transport burden for another 30 years. IV’s position is purely that “the lack of a recommendation simply reflects the need for further work to determine the appropriate actions by government”. The technology is new, and new technology changes, especially once market forces and the lure of national infrastructure-sized contracts start getting waved about. It could all happen in a rush in 2020. If 5G delivers the speed and reliability it promises, and governments can agreed on an underpinning DSRC or similar system. And IV, and just about every transport authority around the country, is bolt upright and watching all the developments, so when that uniformity happens, things will move fast. Cohda’s CEO says he is comfortable with the pace Australia is moving at. His company’s DSRC system, for example, is already in place in Adelaide’s O-Bahn busway, letting buses know if there’s a breakdown ahead and which action to take to avoid it. “I think you could argue that we’re two years behind with what’s happening overseas, but it’s getting there… it’s all lining up,” Gray says. Intelligent Transport Systems Australia CEO Susan Harris says the recent National Policy Framework for Land Transport Technology includes an action item to “develop a connected vehicle infrastructure roadmap” for mid-2017. Providing connected roadside infrastructure, Harris says, “is critical for industry planning, and for ensuring that there is a strong commercial incentive to make connected vehicles available to the Australian market at an early stage”. But the one thing that no amount of consulting, modelling or infrastructure can change is you. That’s what regulation is for. And when people can be relied upon to use nice things for nice purposes, then they can have the nice things.